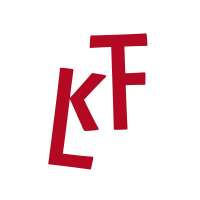 KLTF was established in 2005 as a home for Karsten Luecke’s retail fonts. The Karsten Luecke Type Foundry, now located in the Muensterland in Germany, serves as home for Karsten Luecke’s retail fonts. These, while decorative at first glance, are designed and produced as serious workhorse typefaces, making extensive use of OpenType’s capabilities in terms of spacing in particular: Uppercase letters are slightly letterspaced in all-caps-setting context, automatically. Punctuation marks are slightly set apart as was traditionally done with high-quality typesetting, optionally. KLTF does custom type upon request. KLTF has helped fellow type designers and foundries with advice and tools in the past. KLTF is, more than ever, passionate about all things typographic – from the macro level (pages) down to the micro level (characters) and including everything required for getting both right (technology) – as type, after all, is only a small part of what it takes to lay out a text.